Deputy Chief Minister, Datuk Amar Awang Tengah Ali Hasan receiving a booklet on JMA’s Reforestation Programme in the state by JMA Chief Director, Takakazu Ogawa during a courtesy call at his office in Wisma Sumber Alam recently. 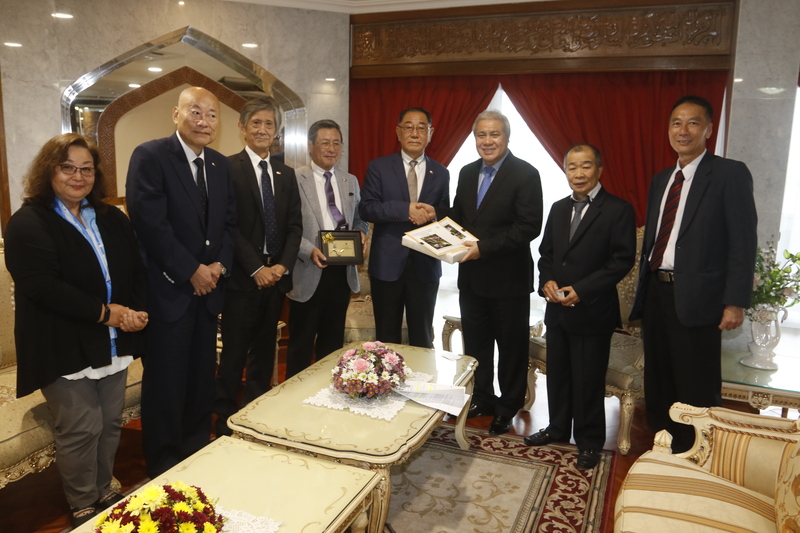 KUCHING: Deputy Chief Minister, Datuk Amar Awang Tengah Ali Hasan received a courtesy visit by the Japan-Malaysia Association (JMA) at his office in Wisma Sumber Alam recently. The visiting delegation, led by JMA Chief Director, Takakazu Ogawa had a fruitful meeting where they discussed issues such as the Reforestation Programme led by JMA and other Japanese non-governmental organisation (NGOs) in Sarawak. Awang Tengah is expected to represent Chief Minister, Datuk Patinggi (Dr) Abang Johari Tun Datuk Abang Openg in the inaugural Takasago-UNIMAS Educational Forest Tree Planting ceremony in UNIMAS today. Also present during the courtesy visit were Assistant Minister for E-Commerce and Assistant Minister for Entrepreneur and Small, Medium Enterprise (SME) Development, Datuk Naroden Hj Majais. Awang Tengah receives courtesy call by JMA 0 out of 5 based on 0 ratings. 0 user reviews.